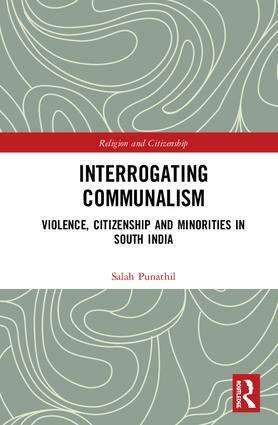 Salah Punathil is a Sociologist and Assistant Professor at the Centre for Regional Studies, University of Hyderabad, India. He is currently Post-Doctoral Research Fellow at the Max Planck Institute for the Study of Religious and Ethnic Diversity, Göttingen, Germany. He completed his PhD from Jawaharlal Nehru University, New Delhi on violence among religious minorities in Kerala. Previously, he has taught Sociology at Tezpur University, Assam (September 2011 to June 2014) and Delhi School of Economics, University of Delhi (July 2009 to May 2010). His research interest includes ethnic violence in India, migration, citizenship, Muslims in South Asia and the intersection of archives and ethnography. He has published articles in journals such as South Asia Research and Contributions to Indian Sociology. Punathil is the recipient of M.N Srinivas Award for Young Indian Sociologist, 2015. Social science research and popular discourse on 'religion and public life' have gradually moved away from binaries such as communal–secular, tradition–modern, or community–individual. It is now widely recognised that religion and cultural traditions do not simply disappear from public life with economic development. In countries like India, this shift has also been reinforced by the emerging social and political trends where issues relating to citizenship are raised through identity movements of historically deprived categories such as the Dalits, Adivasis, and religious minorities such as the Muslims, for inclusive and just development. This ‘positive’ view of religion parallels changing attitudes in other parts of the world as well where there is growing interest on religious communities and faith-based organisations and their potential role in enhancing development and service delivery. While this has led to a renewed interest in the study of religion, rigorous social science research on ‘religion and citizenship’ is still at a nascent stage. This series attempts to fill the gap by bringing together scholarly writing on this important and rapidly expanding area of research in the social sciences.